This article was last updated Dec 07, 2018, but some terms and conditions may have changed or are no longer available. For the most accurate and up to date information please consult the terms and conditions found on the issuer website. If you’re a student looking to start building your credit history, one of the easiest ways to do that is by opening a student credit card. You can use it just like a regular credit card and may even benefit from student specific perks, such as good grades rewards. With all the cards available to choose from, you may wonder which card is the best. There is no one card that’s best for everyone, but you can compare offers from various issuers to find the card that’s best for your individual needs. Know that in order to qualify for any credit card, you must be age 18 and over and must be able to show a steady income from a full- or part-time job. In this guide, we review the features you should look for in a student credit card and how you can use your new card to build credit. No annual fee. Billed each year, an annual fee can be an unnecessary expense for a student card. Luckily, the student cards listed on our site don’t have annual fees, so you don’t have to pay to use your card. Reasonable interest rate. Purchases made with your credit card are subject to an interest rate — often referred to as an APR. The interest rates for student credit cards are typically higher than non-student credit cards and vary by issuer, but if you pay off new purchases in full before your bill’s due date, no interest will be assessed. However, if you think carrying a balance may occur from time to time, we advise considering a card with a low APR range. For example, the Journey® Student Rewards from Capital One® has a 26.96% (Variable) APR while the Discover it® Student Cash Back provides an APR range of 15.24% - 24.24% Variable. 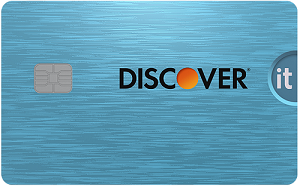 Cardholders who may carry a balance have better chances of a low APR with the Discover it® Student Cash Back based on their creditworthiness. You won’t know what APR you’ll be given within that range, however, until after you’re approved. No foreign transaction fee. Planning on studying or traveling abroad? A credit card with no foreign transaction fee is essential to take with you since you’ll avoid the typical 3% fee many cards charge purchases made outside the U.S.
Credit bureau reporting. All student credit cards we’ve recommended in our roundup report to all three credit bureaus — Experian, Equifax, and TransUnion — which is essential for establishing a credit history. Your balances, payment history and credit line are all reported to the credit bureaus each month. Know that both positive and negative actions are reported, that means while an on-time payment is reported, so can a late payment. After you’ve considered the factors mentioned above, you can take a closer look into the benefits offered, such as rewards, new cardmember offers, purchase protections, and more. These perks shouldn’t be a primary concern when choosing a student credit card, but can be great added features. Many student cards offer reward programs that may earn you up to 5% cash back in certain categories (terms apply). The points or cash back you earn may not be as high as non-student cards, but are nevertheless better than no rewards. You can redeem rewards for statement credits, gift cards, travel, merchandise and more. Student cards often have new cardmember offers and bonuses that can increase the rewards you earn. You may receive good grades rewards, bonus points for paying on time, and more by using your card. Additional benefits. While student cards don’t have as robust benefits as non-student cards, they may still offer more perks beyond rewards and bonuses. Added perks may include purchase protection, exclusive entertainment access, travel accident insurance and more. It’s important to start building credit early and a student credit card can help you establish a good credit score by the time you leave school — when used responsibly. When you graduate college, you may need to buy or lease a car, rent an apartment, or take out loans, and lenders pull credit reports for all those things. If you’ve treated your card responsibly by paying on time and keeping balances low, you can put yourself in a better position to be approved and receive fair terms. Pay on time and in full. Payment history is the most important component of your credit score and by having a good payment history, you can avoid late payment fees and penalty APRs (when you pay late or miss a payment, your card’s APR may rise). Set up autopay or text reminders with your issuer to ensure you don’t miss a payment. Don’t overspend. Using too much of your available credit — often considered more than 30% — can hurt your credit score. The ratio of debt to available credit is known as utilization and also factors heavily into your credit score. So, keep your balances at zero or at least less than 30% of your total available credit. For example, if you receive a $1,000 credit limit on a student card, you should keep spending below $300 each billing cycle. Add a recurring bill to your card and pay it off in full each month. If you have a recurring monthly bill such as a cellphone bill or a streaming service subscription like Spotify or Netflix, you can charge it to your credit card and pay it off in full every month. This is a simple way to build credit and you can use autopay to completely automate the process. Tip: Don’t worry about the size of your recurring payment, it doesn’t have to be large. Read our roundup of the best student credit cards.